With only months to go until the UK leaves the EU, businesses and individuals are trying to plan for Brexit amidst uncertainty. Richard Porter, employment law expert with Colchester and Clacton-based solicitors, Thompson Smith and Puxon, looks at what we know about the likely affect of Brexit on UK employment law and the rights of EU workers, both in the event of a deal and a no deal exit. He also highlights a couple of changes in employment rights for October. How will Brexit affect employment law? The UK’s membership of the EU has significantly shaped employment law in the UK, much of which is based on EU law. In the time immediately after Brexit, it is unlikely there will be any changes to employment law. Unless the EU and the UK agree an implementation period which extends the current arrangements, the EU (Withdrawal) Act 2018 will convert law derived from EU law into UK law. However, the UK courts and employment tribunals will no longer have to follow future decisions of the European Union Court of Justice. What will happen beyond that time is open to speculation. The government’s White Paper (published following the Chequers Agreement) proposes committing to the ‘non-regression’ of employment rights in the final agreement. Exactly what this will look like in practice or whether it will be agreed remains uncertain. If the UK and the EU do not agree any minimum standards or limits on UK employment law, the UK Parliament should be free to change the law. Possible targets mooted for change include rights for agency workers, restrictions on working time and protection of contractual rights after the sale of a business. What if there is no deal? 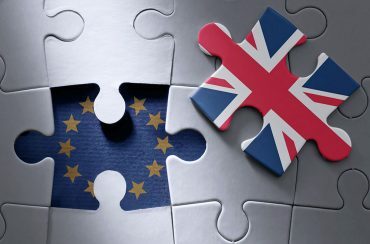 Government guidance published in August on the effects of the UK leaving without a deal states that there will be no immediate impact on employment law, other than relating to European works councils and the rights of workers outside the UK on the insolvency of a British employer. How will Brexit affect rights of EU workers? The government has provided a toolkit and guidance for EU citizens on the settlement scheme. What about EU citizens’ rights if there is no deal? The immigration rights in the settlement scheme are contingent on the UK reaching an exit deal. However, in August, Dominic Raab the Brexit Secretary said that if there is no deal the government would ‘safeguard the future’ of EU citizens living in the UK. Reports of leaked cabinet papers suggest that the government would still implement the scheme. There are only a couple of changes taking place in October. Firstly, employers’ childcare voucher schemes must close to new entrants by 4 October. Existing members will be able to continue to use these salary sacrifice schemes. Other options for helping with childcare costs are detailed in government guidance. Secondly, on 1 October, new rules came into force to allow unpaid time off work for volunteers in the criminal justice system, such as prison monitors. We can help you prepare for Brexit by auditing your workforce, identifying EU workers who could apply under the settlement scheme, as well as assisting with ways to support and effectively communicate with your staff.